We have spent ages looking for a banner stand than is economical enough to be deemed our basic brand yet stable enough that it will be built to last. Not all retractable banner stands are built the same, and we've had many questions asking about the quality. Simply put we're done the legwork for you and look no further than our banner stands to ensure a quality basic stand that is durable, will not lean and will not curl. All of our stands come with a convenient padded carry case. Our Vinyl Banners are non-curl. They are beautifully digital printed. Simply pull up your retractable banner from the cartridge base and secure it from a rod behind the banner. We only offer these in rush circumstances to the Vancouver market as our Matte Satin Banners are superior. For a more luxurious look add a Matte Satin Banner and stand out among the crowd. 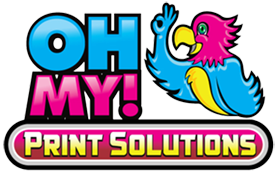 This hard to find printing option provides stunning quality and a unique way to display your brand. This is an addition to our basic banner stands or this is available with all of our Luxury Banner Stand models. You are buying a banner stand to command your potential clientele to take notice. Add a Halogen Light to attract the attention your need. 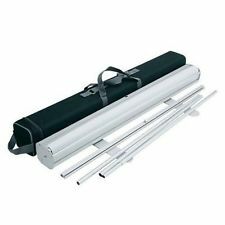 Retractable Banner Stands protect your banners from damage. They are also great for point of purchase displays, trade shows, exhibitions, conferences. And any other event where your advertising venue or showroom is mobile. All of our Retractable Banner Stands are durably constructed. Also, it’s easy to set up at any location. To provide the professional presentation you will need to display your message. Whether you’re a busy sales manager. Deploying Retractable banner stands from one location to all of your regional offices throughout Canada and USA. Or a small business doing one trade show a year. We have a graphic display that will meet your marketing needs and also suit your budget. We offer stands from 33.5 inches wide up to 47 inches wide with heights up to 80 inches high. They’re incredibly easy and fast to assemble and set up in less than 1 minute. to Worldwide with Free Shipping! All of our stands come with full-color graphics printed on premium Matte Satin Banners. It is included in the price. Our premium Retractable Banners Stand is very durable. Also, they are suitable for busy marketing departments or not-for-profit organizations. That is displaying at many shows or events each year. Our office is in beautiful Vancouver, British Columbia and also in Canada. We ship throughout the USA, Calgary, Edmonton, Regina, Toronto, London, Windsor, Montreal, Quebec. Throughout USA to places such as California, Seattle, LA, San Diego, Sacremento, Texas, Houston, Mississippi, Memphis, Florida, Miami, South Carolina, North Carolina, New York, Ohio, Boston and more. We ship for free throughout Australia, New Zealand, Italy, UK, France, Dubai, Panama, Colombia, and more. 31.5" x 80", 33.5" x 80", 39.5" x 80", 47" x 80"